Using APKPure App to upgrade Paid Apps Gone Free - PAGF (Beta), fast, free and save your internet data. Beware of Fake Apps Using Our Name: "Paid Apps Gone Free"
Some scummy developers are shamelessly stealing content from our app and using our app name "Paid Apps Gone Free" to deceive users. These apps are filled with third party libraries and SDKs and we cannot guarantee safety and security of these apps. Beware of such apps and use your own discretion. 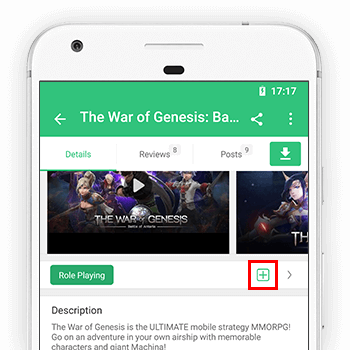 You can also flag and report these apps for stealing our brand and content as they are clearly breaking multiple play store policies, including impersonation and spoofing of our app. ● This app is currently in Beta. ● This app works best when Google Chrome is installed on your phone. ● Reset default apps settings or play store link handling in system settings if links do not open directly in play store. ✘ This app is not a typical app store. ✘ We cannot make any specific paid app/game free, so no requests please. ● Some deals may not be available in your country or can expire by the time you access them. ● If you have any further queries, please read the help section inside the app. ✔ "Paid Apps Gone Free (PAGF)" daily posts a list of paid Android apps that have gone free for a limited time. ✔ Discover and download paid apps, games, wallpapers, icon packs, themes and more that are free for a limited time on play store. ✔ Over 6000 unique apps have been listed till date including many apps and games from top developers. Over 1 Million users have downloaded this app on play store, so don't lag behind and make most of this app. ✔ Besides phones and tablets, many temporarily free apps support android TV and android wear devices as well. ✔ Once you download an app, it is yours to own forever and the app is permanently added to your google account. ✔ This app comes with notification support (just once a day for sanity and peace of mind) and includes many options to sort and filter results. ✔ No tricks, no strings attached. This app provides 100% legal and safe way to get certain paid apps for free, directly from play store. ✔ So by all means, go on shopping, be an app hoarder, enjoy the app sales and get listed apps free. ✔ Don't forget to share this app with your friends and family. Let everyone enjoy the free apps. This app displays content in chrome custom tabs (in-app browser). However it does have notification support and it will notify you daily when a new post arrives. If you do not like this, there are numerous other methods to follow and get notified. Please visit our website to find other ways to follow. If you decide to use this app, please read the built-in help section. It provides solutions to common problems, misconceptions and will help you understand the app better. The app itself is completely Ad-Free and there are no in-app purchases or any third party SDKs. However my website does have some ads. Since my website is loaded in a Chrome Custom Tab or a browser of your choice, you may see some ads in the browser (not in the app itself). That said; there are no pop-up and full-screen ads on the website, ads that anchor at bottom or ads between the content (they are at top and bottom of the content). I have taken utmost care to keep them minimal, non-invasive and unobtrusive. This website doesn't spoof ads as real content and you won't be tricked (like some other websites are doing). However, if you still have genuine problems with ads, let me know. I am open to suggestions. - Added support for Android 9 "Pie". - Updated help & first run dialog. - Both app & website now use "https" protocol. - Removed support for Android 4.0 ICS. All Android 4.1+ devices are supported.